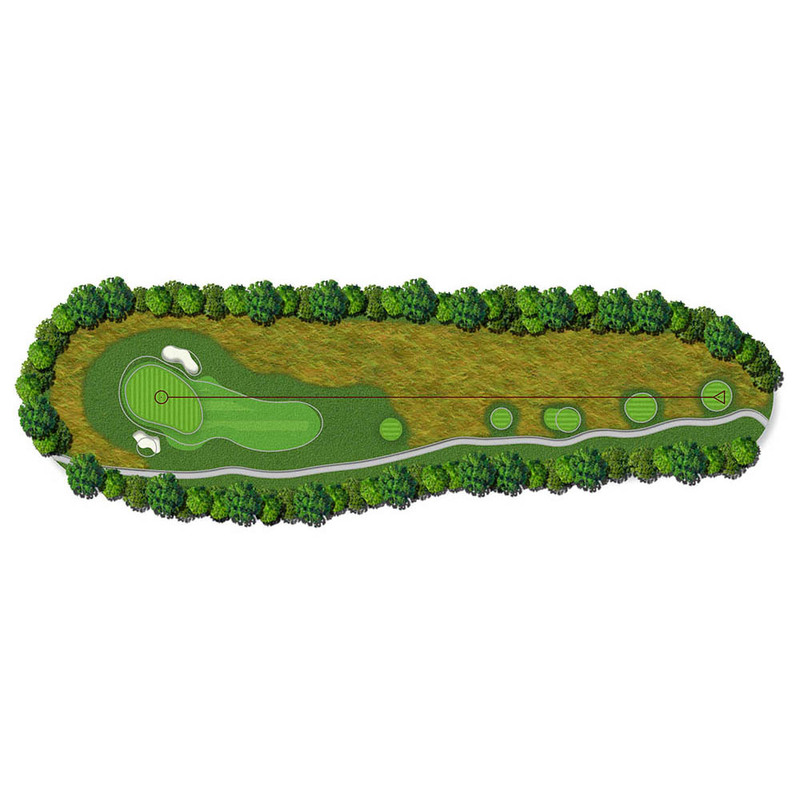 Short par fours are often favorite holes because both power and finesse can compete together on the same stage. Every player has a chance for success on this type of hole, yet oftentimes aggressive play can end with disappointment. Occupying the perfect land as well as the optimal position in the hole rotation for the longest par three on the course, the 11th sets up very well for a long iron or rescue club approach. 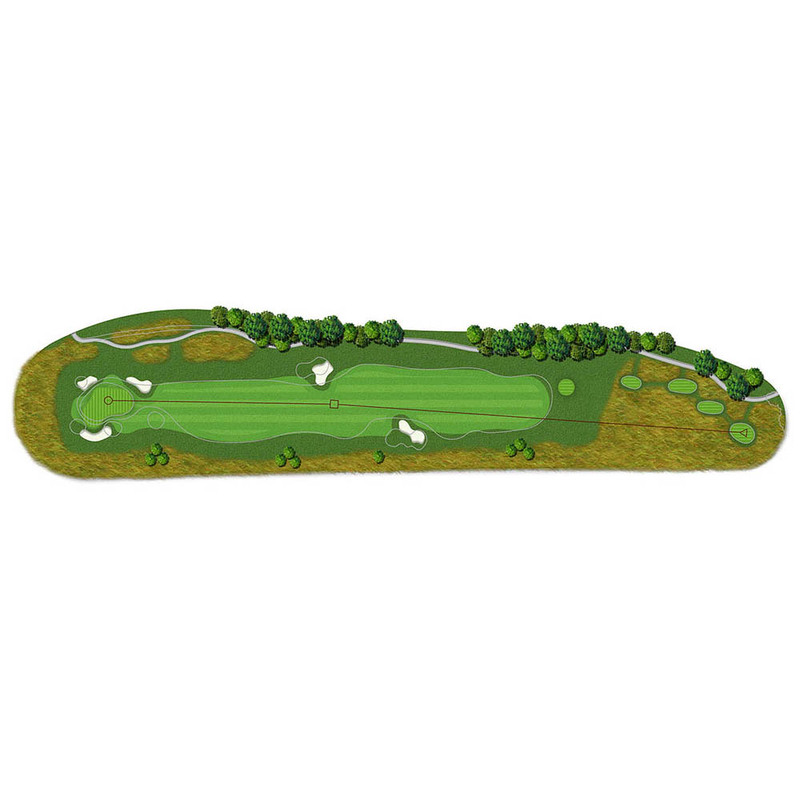 Uphill, long, and narrow in spots, the par five 12th is perhaps the most difficult hole on the mountain – especially for the recreational golfer. More clearing and under brushing will help clean up the right side and open up a view of the creek area. With five par threes, McLemore has the opportunity to offer a wide array of shots and club selections on holes that visually entice and strategically inspire. The 13th has just the perfect blend of length and drop for players to be successful. Climbing the hill along the road, the 14th presents a strong ball striking challenge that starts with a great drive. New bunkering and clusters of trees along the road will give this hole a fresh and attractive appearance as golfers get their first glimpse of McLemore. A fine complement to the previous uphill hole, the descent from the 15th tee will make for some fun drives. The right fairway bunker will be eliminated, widening the landing area and exposing the creek. Two reconfigured bunkers will remain on the left side of the fairway and a new forward tee will be added. 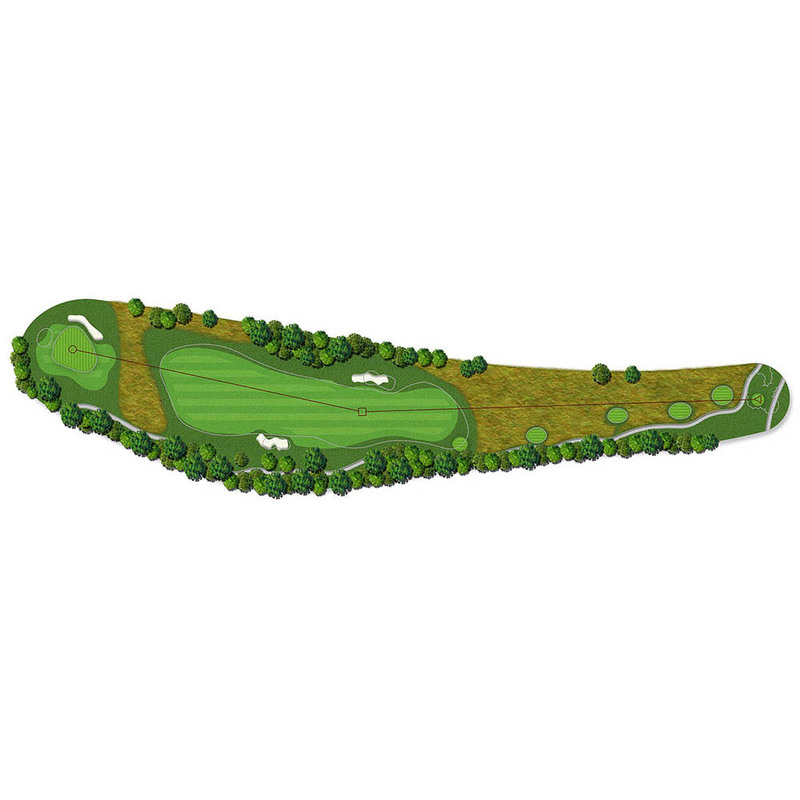 The longest par four on the course has an ample fairway, and poses a strong physical challenge for all golfers. A pair of bunkers will stretch out along the sides of the fairway, with the right bunker helping to keep balls in play and the long left bunker serving as a distant target. The creek crossing on this hole represents a fine example of the way rock and fescue areas can interact beautifully. We will model more sections of the course after this spot. At elevation and playing downhill, the 17th is a bombers paradise and a great hole to go after a big drive. The bunkering on this hole will become more perpendicular and the wide fairway will jog around these protruding obstacles. Players will have to carefully consider positioning for angle and distance when traversing this hole. In order to accommodate a spectacular clubhouse position, the 18th at McLemore will relocate to the edge of the eastern brow some 100’ feet below the current hole’s location. The setting will be breathtaking and the golf exciting as players will feel like they are on the edge of the world. Rock outcroppings will be exposed and mingle with the fairway area on the right side and a walk down the left edge of this hole will simply inspire. The tees will start along the edge and angle to the right, elevating slightly as they move forward.